Awww, isn't Europe quaint? 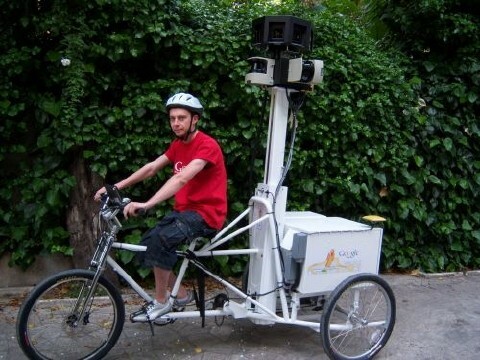 Those gas guzzling Google Street view cars in America have become tricycles on the twisted, cobbled streets of Europe. And by the looks of this rig, we wouldn't be surprised to find Google handing out gelato in order to placate the local luddites. Video and another picture after the break.